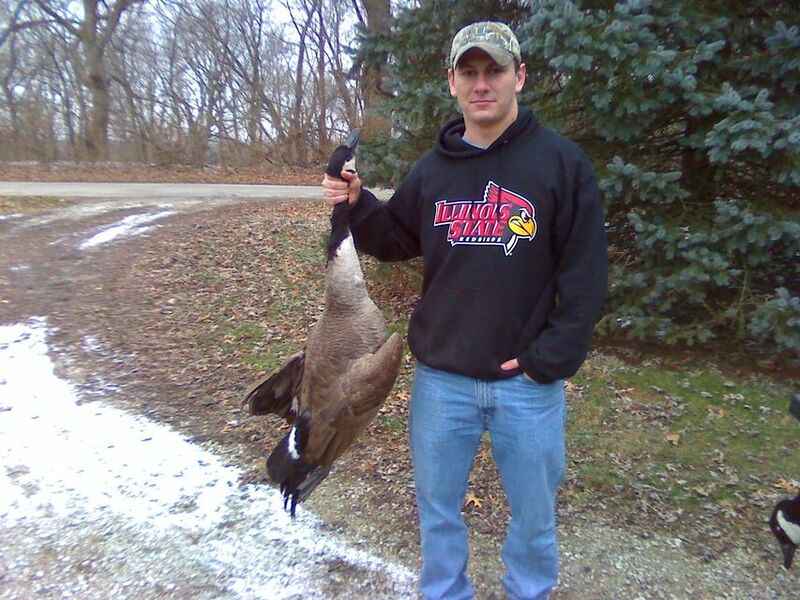 Recent snow has pushed a few new birds into Central IL. Got to go out Saturday and Sunday. Next week should be good with a Christmas storm forecast. mmmmmm I can almost taste those battered chuncks of goose breast straight from the pan.. keep up the good work. Elvis, you've harvested so much meat, do you ever need to go to the grocery store for anything other then fixin's? slimjim variaty is the spice of life. yip we sure do love our game meat in this house. venison steak for tea tonight. Suz have answered for you happy to help. Thanks Elvis!! You da man! hey SlimJim we went out to shoot wallabies today as we topped a rise a 100lb wild boar looked at me and got dead and taken to my freezer for his trouble. mmmmm roast wid pork with apple sauce . You done good Elvis...well done mate. Try pork and venison sausages, and experiment with the herbs and spices..nothing ventured, nothing gained mate. Damn, I wish I was closer to the game hunting areas...sitting in the middle of the big city is driving me crazy. Today, I'll be lucky that I can eat paper at the range. I wish I was closer to the game hunting areas...sitting in the middle of the big city is driving me crazy. I know how you feel. I have to drive 50 miles or 75 miles just to shoot at paper at a respectable distance (250 or 1000 yards). At least I can eat a good sandwich on the way and, thanks to the cell phone, I can catch up with friends along the way.